Is a low-carb, high-fat diet dangerous if you have elevated cholesterol? How much fat should you eat on the keto diet? And, how much snacking is okay to eat on a keto diet? My cholesterol is very high, should I come off LCHF diet? I started the LCHF diet in September, thanks to your website. I've lost almost 14 pounds (6 kilos) so I'm very happy with that, but I had my bloods done last week and my cholesterol has come back very high, at 10, and apparently my bad cholesterol was high as well. It was around 5 previously. I was on a statin and after watching some videos and reading up on them, I came off my statin about two months ago. My doctor wants me to go on a statin and a low-fat diet but I feel great on LCHF. Is there any advice you could give me? Whether you need a statin or not is something we can't tell you - we can't and we should not, offer personalized medical advice here. In general, stopping taking statins appears to result in a significant increase in cholesterol on its own. Cholesterol levels can rise quite a bit for a minority of people who try keto. However, the cholesterol profile usually improves, e.g. the good cholesterol (HDL) usually goes up the most, this is connected to a lowered risk by itself. For more on the topic see this guide. What is the least amount of fat I can eat while on keto? My blood sugars are not going down, although my oral monitor often has me at 0.1 (I am insulin resistant). Typically 20-25 carbs, 120 g fat and 80 g protein. I am 71 years, old take no medications, moderately active, tried IF but don't think you can get all the macros I need in one meal. I would like to know the LEAST amount of fat I can consume and be healthy. I am a retired RN and all that fat makes me nervous. The only processed food I eat is keto bars. No sugar, flour or grains since October 4th. I want my blood sugars below 95 (108-ish now). If you have excess body fat stores, you don't necessarily need fat energy from food, as long as you can live off your fat stores. However, you do need some essential fatty acids, omega 3 and omega 6. It's also wise to eat some fat every day to avoid getting gall stones. Finally, eating too little fat might result in hunger and fatigue. But again, you don't necessarily NEED much. Prior to trying keto, my cholesterol was 189. After doing the keto diet (following the two-week challenge recipes) for two months, my cholesterol shot up to 295. This is extremely concerning to me. Thoughts? Cholesterol levels can rise quite a bit for a minority of people who try keto. However, the cholesterol profile usually improves, e.g. the good cholesterol (HDL) usually goes up the most. This is connected to a lowered risk by itself. For more on the topic see this guide. Can you please tell me how many snacks we can have on the keto diet? Can you please tell me how many snacks we can take on the keto diet? And, if we are eating snacks, what is the suggested amount of nuts? Can we take them no more than once a day? If you're aiming to lose weight, no snacks may be the best option. If you feel you need snacks, you may be better off eating more at your regular meals. But occasionally, a snack may be a decent choice, find our recommendations here. 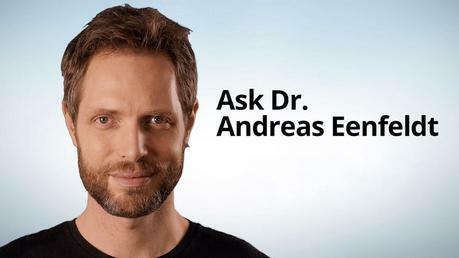 Ask Dr. Andreas Eenfeldt about LCHF, diabetes and weight loss - for members ( free trial available).